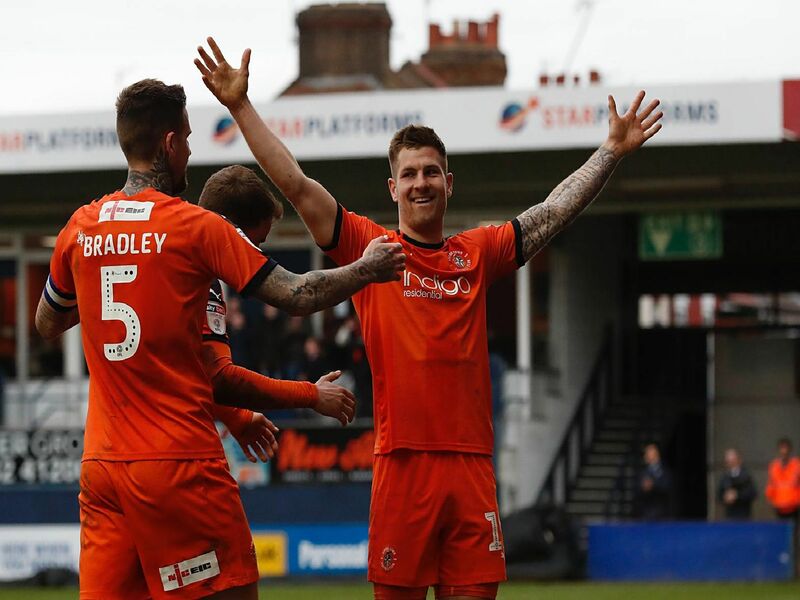 Hatters striker James Collins scored his 20th goal of the season for Luton at the weekend. Here's a look back at just how Town's leading scorer reached his milestone this term. Collins hadn't scored in Luton's opening nine games, going 14 in total without a goal for the Hatters. However, when Pelly-Ruddock Mpanzu's shot hit the past he slotted home to scenes of sheer delight. After taking so long to get off the mark for the campaign, he made it two in two games at Oxford. When team-mate Harry Cornick hit the bar from two yards out, Collins was there to apply the finishing tough. Trailing 2-0 at Oakwell, Luton were awarded a penalty when Harry Cornick was tripped in the area and Collins stepped up to convert from the spot. With time running out and Luton 3-1 behind at Barnsley, sub Kazenga LuaLua's cross came back off the bar, with Collins hammering home a difficult volley, although it proved a consolation.